Yun Rou (the name means Soft Cloud) has been called the new Alan Watts. Born Arthur Rosenfeld in New York City, he received his academic background at Yale, Cornell, and the University of California, and was ordained a Daoist monk in Guangzhou, China in 2012. Host of the hit National Public Television show “Longevity Tai Chi”, he is the author more than 15 books, including award-winning novels optioned for film in Hollywood and Asia. In recent years his non-fiction books offer Daoist prescriptions for the challenges of culture, society, and everyday living, while his novels bring a New York literary sensibility to the emerging "Silkpunk" genre, blending Chinese history, science fiction, and fantasy into rollicking, thought-provoking reads. His articles have appeared in Vogue, Vanity Fair, Parade, Newsweek, The Wall Street Journal,WebMD, Fox Business News, and numerous other websites and newspapers. Monk Yun Roubegan his formal martial arts training in 1980 and has studied with some of China’s top tai chi grandmasters. In 2011 he was named Tai Chi Master of The Year at the World Congress on Qigong and Traditional Chinese Medicine. The Action On Film Festival recently chose him for their Maverick Award (previous recipients include David Carradine, John Savage, and Talia Shire) and established an award for writing excellence in his name. In July 2014, Yunrou was the opening and closing keynote speaker at the International Tai Chi Symposium in Louisville, Kentucky. In 2016, the American Heart Association profiled Yunrou as an inspirational resource. The Florida Sun-Sentinel called Yun Rou’s novel A Cure For Gravity one of the 10 best books of the year 2000. 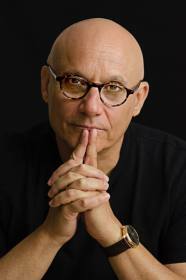 His bestsellerThe Truth About Chronic Pain(New York: Basic Books, 2003) was a finalist for the prestigious Books for a Better Life award for his bestseller, his title Tai Chi - The Perfect Exercise (Da Capo Press, June 2013) is widely regarded as a standard work in the field. 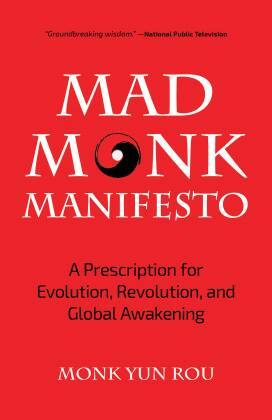 Mad Monk Manifesto is his first book with Mango Publishing, but will not be his last. 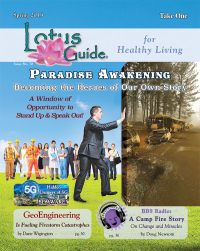 Yunrou writes, teaches and speaks in South Florida and around the world.